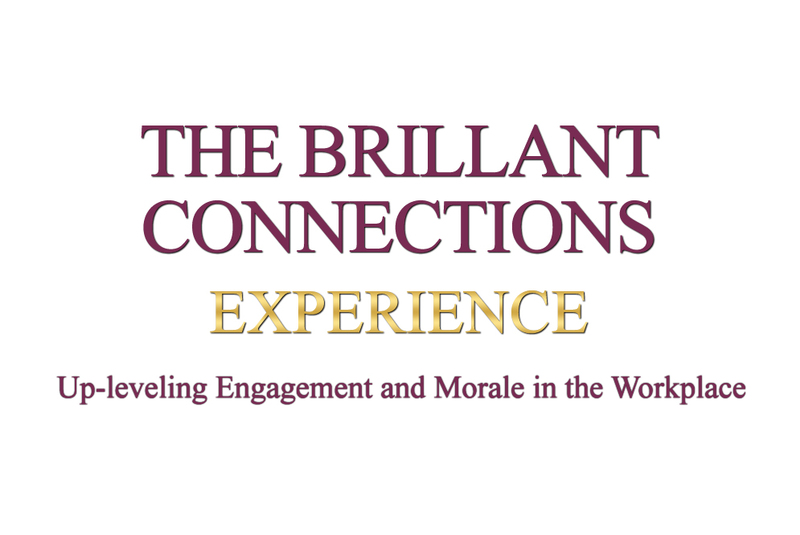 If you are a small business or medium size company and are ready to up-level engagement and improve morale, this ONE DAY Brilliant Connections Experience will transform everyone to become the BEST version of themselves. 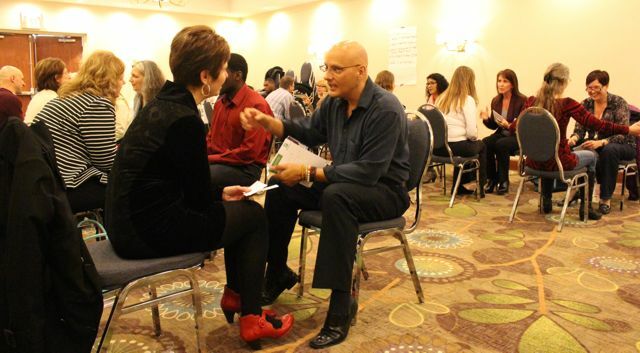 Why invest in a team building seminar? Whether you work in a small or medium office setting, being able to openly communicate is essential for creating stronger and effective relationships between all facets of your business. Training isn't just important to any company, it is vital to a company's growth. A healthy workplace where employees treat one another with respect is far more likely to function at optimum levels of productivity. Unfortunately, the rise of gossip/backbiting and disrespectful behaviours in business seems to be at epidemic levels and the result is a steady erosion of morale, engagement and productivity. 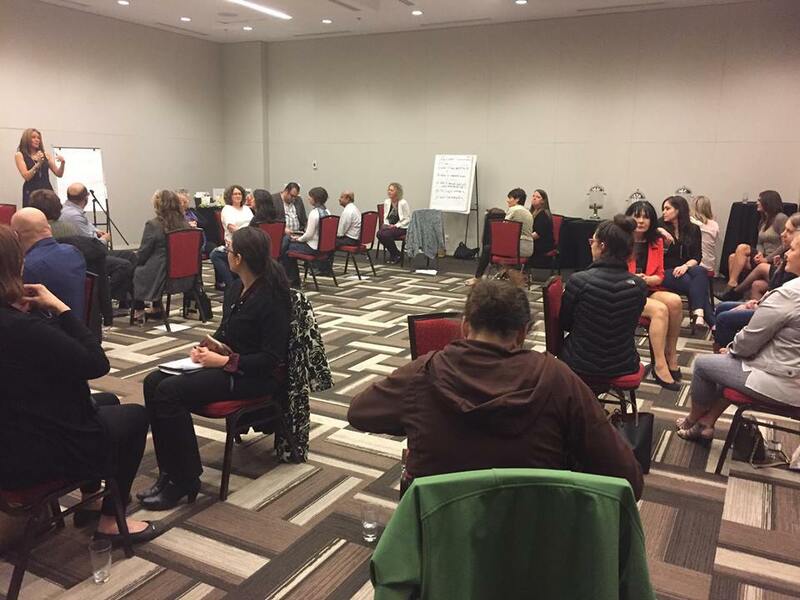 The Brilliant Connections Experience is an empowering One Day program and it is designed to inspire your team to "Think Differently" about themselves and their co-workers. The program provides strategies for everyone to recognize and handle offensive, disrespectful and inappropriate behaviours. Unleveling engagement refers to "how your employees or staff feel". If they are exhuasteed, overwhelmed, or stressed, their level of engagement with others will be emotionally unhealthy. Forward thinking companies today are focusing more on an "Empathic Approach" to empowering their teams. Team building is really about team healing and can only occur when every one acknowledges each other as a human being. Eliminating gossip and backbiting for good. A higher level of gratitude is realized for having their job! Method of delivery: Power point presentation, personal reflection and small empowering group discussions which includes everyone playing the icebreaker game GeTalking. When we were working together to create our Value Statements it opened my eyes in a way that I didn't think was possible. I now realize we are all working for the same goal. I thoroughly enjoyed your presentation and found it very energizing, encouraging and uplifting. Your words of inspiration fit perfectly as a terrific wrap up to our staff retreat day. Thank you very much for sharing your wisdom with our team. This is a great team building program to remind us of why we are here and to collectively come together. Karen, thank you for speaking at the Women in a Home Office meeting. You brought the room alive with your positive energy. Your talk was inspiring and thought provoking. Your passion brings great insight to a message that needs to be heard. The women commented on enjoying it for a whole month after meeting you. Keep spreading the word! Deep Breathing Practices to handle difficult emotions. They can then teach these powerful practices to their family at home which is a great bonding experience. This also creates a positive ripple effect in knowing the company cares about family. Complete the "Get Real" Questionnaire that is confidential allowing each employee to express their concerns. The GeTalking Game - encourages everyone to open up and have some FUN - see each other with "new eyes". The Brilliant Connections Experience - everyone has an opportunity to connect one on one and acknowledge each others similarities rather than focusing on differences. Sometimes people can be working together for years and still not know each other. The Emotional Freedom Chart - allows everyone to truly understand their emotions. When everyone understands what is underneath ALL anger or negative emotions, they begin to do whatever it takes to change their behaviours. This segment awakens each person to a new level of respect for themselves and others. Creating a Value Statement - together the team comes together and creates their value statement and define what is important to them. BONUS Material is given to Create a Mission and Vision Statement - when everyone sees that they are ALL in this together and they are a part of creating a prosperous future it creates passion and purpose. 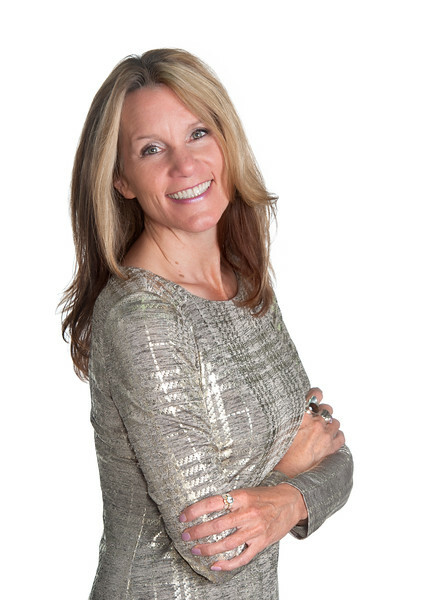 Karen Klassen is owner of Imagine Seminar inc. and has been coaching and training for over 15 years. She is passionate about empowering people to be the best version of themselves in the workplace and in the home. She is the creator of The Brilliance Connections Experience and the GeTalking Game, Best Selling Amazon Author of 4 Books, and recipient of the Women of Inspiration Game Changer Award 2017.